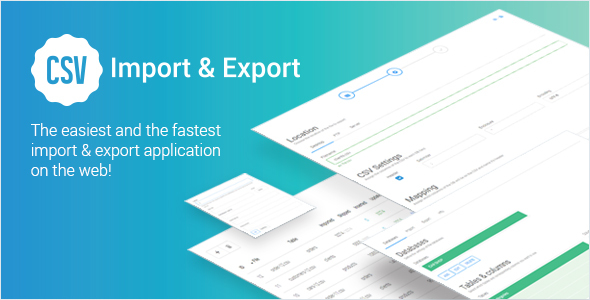 CSV Import & Export is a web application that allows you to import and export CSV files from and to your SQL database. It has unique features that will boost the overall application speed, and also will allow a really quick configuration, so you can start right away! This product was developed to import and export information from or to a database in a matter of seconds, using a .CSV file. CIE not only uses drag and drop features to increase speed, but also detects the CSV fields automatically, so it will save you time to sort that out as well. And final, we use a intelligent and unique system that will improve the speed of the technical process dramatically.